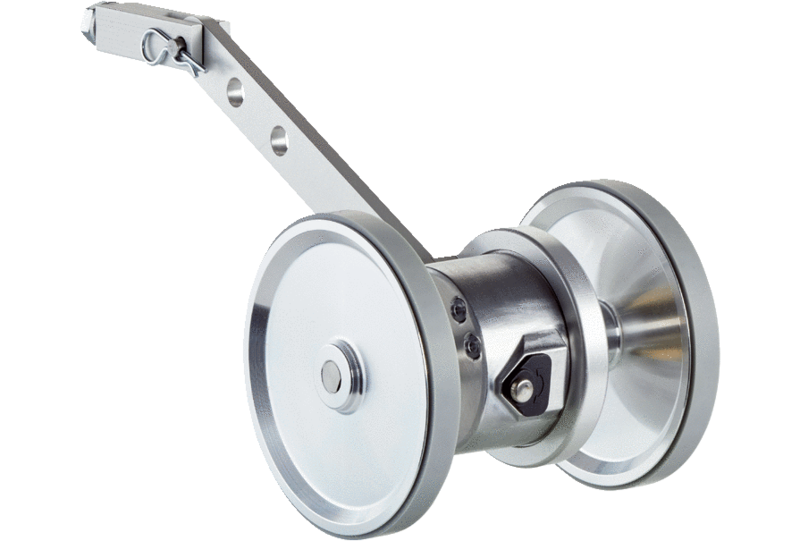 The DUV60 is a measuring wheel encoder with DIP switch configuration, designed to be optimized for conveyor and web feedback. The ability to configure the output voltage, resolution, and counting direction reduces the number of variants, enables easy replacement and quick commissioning, and increases the likelihood that spare parts will be in stock – all without any additional programming tools. The on-board status and signal LEDs and optional fault output quickly indicate the functionality of the encoder, minimizing time required for both installation and troubleshooting. The DUV60 offers a range of mounting configurations for dual or single wheel applications, making the DUV60 the ideal solution for conveyor, web, and logistics applications. 1) The universal connection is rotatable so that it is possible to position the conector in the radial or axial direction. 2) The universal cable connection is positioned so that it is possible to lay it without bends in a radial or axial direction.